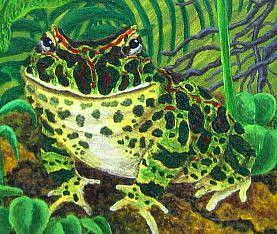 This Ornate Horned Frog is often called a pac man frog because it gobbles up anything that it can fit into it's mouth. 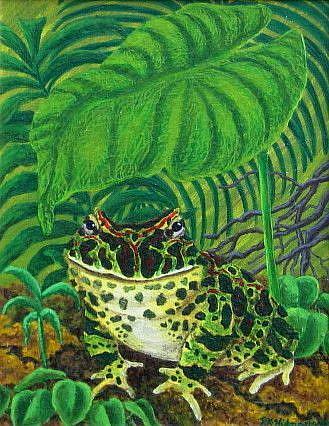 They are quite large for a frog, bigger than a saucer, so they are well named. They live in the rainforests of South America.